The endowment named in honor of V Ethel Willis White is unusual in that the person honored was not a wealthy woman in the usual sense of the word. Instead V Ethel Willis White’s wealth derived from her inspiration to others. White began life in 1920 in Homer, Louisiana as one of 13 children born to Arthur and Nora Willis. Her early life on the 644-acre farm owned by Willis’s grandfather established a pattern for living where faith, love of family, hard work, and cooperation were the norm. Ethel Willis migrated north to Kansas City, Missouri, where she attended nursing school, and then in September 1947 she moved to Seattle seeking a fresh start. Willis quickly found employment as a domestic servant, making herself indispensable to the Helen Marie and David Wyman family. Although White and her husband LaVerne, whom she married in 1948, never had any children of their own, she became a “second mother” to the five Wyman children. White’s twenty-eight year tenure with the Wyman family was the impetus behind a University of Washington Press endowment that now bears her name: the V Ethel Willis White Endowment for African American Literature and History. 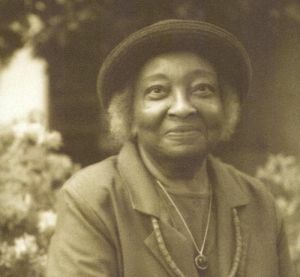 The $100,000 endowment, consisting of contributions not only from the Wyman family, but also from White’s larger circle of friends and acquaintances in Seattle, was established in 2003 shortly after White’s death to assist the UW Press in publishing books both by African American writers and about themes pertaining to African American history and literature, intellectual areas Ethel White cared about. The endowment published its first book in 2004: Passing the Three Gates: Interviews with Charles Johnson, edited by Jim McWilliams. A second book, On American Soil: How Justice Became a Casualty of WWII by Jack Hamann, was published in 2005. White is also remembered as a woman who was active in her community. She opened her South Seattle home, which was called “The White House,” to visitors. The house was repeatedly featured on the Mt. Baker Annual House & Garden Tour in Seattle. “Honoring Dignity: V Ethel Willis White Endowed Book Series,” Excerpts: Newsletter of the University of Washington Press (Summer 2004); Susan T. Herring, “Willis & Wyman’s, Match Made in Heaven,” The Guardian-Journal, 23 June 2005; Jack Hamann, “Endowed Book Series Selects On American Soil,” Jack Hamann, Author/Journalist, http://www.jackhamann.com/news/v_ethel_willis_white.html (6 July 2007). Guardian-Journal, 23 June 2005; Jack Hamann, “Endowed Book Series Selects On American Soil,” Jack Hamann, Author/Journalist, http://www.jackhamann.com/news/v_ethel_willis_white.html (6 July 2007).